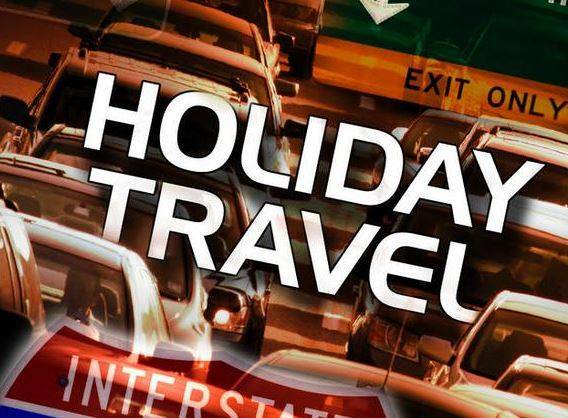 COLUMBUS — For the second year in a row, AAA predicts the highest Thanksgiving travel numbers since 2005, with 54.3 million Americans, including more than 2.2 million Ohioans, planning to travel at least 50 miles from home between Wednesday, Nov. 21 and Sunday, Nov. 25. This is a 4.8 percent increase over last year both nationally and in Ohio. “Consumers have a lot to be thankful for this holiday season: higher wages, more disposable income and rising levels of household wealth,” said Bill Sutherland, AAA Travel senior vice president. Due to this economic strength, Thanksgiving holiday travel is making its 10th consecutive year of growth nationwide (9th in Ohio). This year’s national Thanksgiving travel predictions are 43 percent higher than the 2008 recession low. More than 89 percent of travelers will drive to their holiday destinations. With 2.3 million more Americans, including nearly 90,000 more Ohioans on the roads this year, travelers should expect crowded roads, especially during evening commutes starting Monday, Nov. 19. Travel times in the most congested U.S. cities could be as much as four times longer than a normal trip, according to global mobility analytics company INRIX. In most cases, the best days to travel will be on Thanksgiving Day, Friday, or Saturday. Drivers should also expect increased travel times Sunday, Nov. 25, as most holiday travelers will be making their way home after a long weekend. With the extra traffic, the Ohio Department of Transportation will suspend roadwork and open as many lanes as possible. However, drivers should pay extra attention while driving through work zones and allow additional time to reach your destination. Drivers should also take time to prepare their vehicles before their holiday road trip. AAA expects to rescue more than 360,000 motorists nationwide this Thanksgiving weekend, including more than 14,500 in Ohio. The top reasons motorists will request roadside assistance include dead batteries, flat tires and lockouts. In addition, the Ohio State Highway Patrol is reminding motorists to buckle up, never drive impaired and always follow traffic laws. Last year during the Thanksgiving holiday weekend, there were 17 fatal crashes that killed 22 people on Ohio’s roadways. Five of those fatalities were the result of an impaired driver and 11 were unbuckled. Troopers will have an increased presence on Ohio’s roadways to promote a safe Thanksgiving holiday. Airports will also be busy over the holiday weekend with 4.27 million Americans, including nearly 185,000 Ohioans, flying. This marks an increase of 5.4 percent nationally and 6.3 percent in Ohio over last year, and is the highest number of Thanksgiving air travelers since 2007 nationally and the highest number on record in Ohio. Across the country, travelers who take to the sky must account for long security lines and increased drive times to the airport. Travelers should plan to arrive at the airport at least two hours prior to their flight’s scheduled departure. Tuesday and Wednesday prior to Thanksgiving are usually the most popular air travel days and have the highest average roundtrip ticket price, according to an analysis of AAA’s flight booking data from the last three years. Thanksgiving Day consistently has the lowest average ticket price and is the lightest travel day. Most travelers booked their flights for Thanksgiving between Sept. 23 and Oct. 25, and paid an average ticket price of $478 roundtrip. Those who still need to book flights may find slightly cheaper airfares, with roundtrip ticket prices expected to cost an average of $459 between now and Nov. 15. However, last-minute flight availability will likely be limited. Travelers can expect to save on car rentals this Thanksgiving. At $63, the average daily rate is 10 percent less than last year, according to AAA’s Leisure Travel Index. Travelers can also save on AAA Three Diamond hotels, with an average nightly rate of $166, which is 6 percent less than last year. Conversely, the average rate for AAA Two Diamond hotels has increased 6 percent to an average cost of $124 per night.